A collection of three short stories and a novella from the Pulitzer Prize-winning author of Empire Falls. 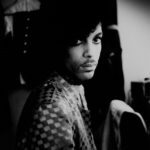 ...the real revelation in Trajectory is 'Milton and Marcus,' the story of a down-on-his-luck novelist and sometime screenwriter who’s summoned to the home of a legendary actor ... Don’t let the wickedness of 'Milton and Marcus' fool you. It happens to be the most beautiful story in the book. And how much of it is true is beside the point. What matters is how it reflects the larger themes of Russo’s work. Jackson Hole is the ultimate foil to the decaying mill towns of Russo’s novels, and actors the ultimate foils to the low-esteem schlubs Russo writes about so well ... It will abruptly break your heart. That’s what Richard Russo does, without pretension or fuss, time and time again. ...[a] collection of short fiction so rich and flavorsome that the temptation is to devour it all at once. I can’t in good conscience advise otherwise ... That sounds like a terrible downer, but glumness isn’t what Russo has in mind. Even unfolding as it does in the middle of the recession, with the real estate market dried up and businesses starved for customers who in turn are starved for cash, 'Intervention; percolates with mocking humor. It dips into despair, yet it is actually about the reanimation of hope gone dormant ... Russo frets about the American culture of pointless acquisitiveness. He worries over the breathtaking privilege of the uber-wealthy. Yet he is no ascetic. The flip side of aversion is fascination. All four [stories] retain the insightfulness and sympathy of Russo’s earlier work, but they are restrained, free of dramatic or improbable twists. In this respect, they call to mind Russo’s terrific novel Nobody’s Fool (1993), a panoramic and minutely observed book ... 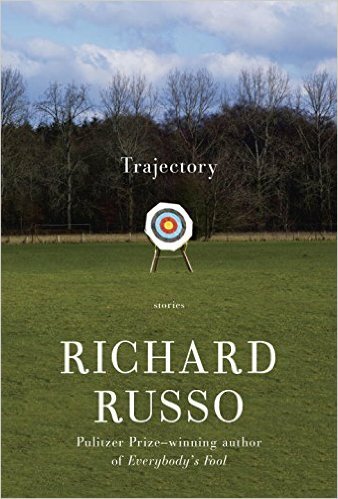 Throughout the collection, Russo’s tone is wistful and reflective; Trajectory is a less comic, less antic and gleeful book than Nobody’s Fool ... Russo’s skill is such that flaws are easy to forgive. Thoughtful and warmhearted, his fiction has the engaging quality of tales told by a friend, over drinks, about a person we know in common. And so we lean forward, eager to hear what happened next. What did you think of Trajectory?